As the first term draws to a close I would like to thank the young men of the school for such a positive start to the year. The Year 9 boys, in particular, have made a good impression; the overwhelming majority have embraced the school’s ethos and have quickly understood the importance of our expectations, our standards and our traditions. Gentlemen, you are now part of the long and proud history of the school. They will have seen a significant number of our young men recognised for their achievements during the first term across a wide range of endeavours: academic, cultural and sporting. They will have taken up a number of opportunities that are on offer here and will have got involved in school life. They will know what it is to be part of “Palmy Boys”. As we begin the winter season, it is timely to encourage our young men to get involved. There is a huge number of activities for the boys to get involved in and we believe that a good all-round education includes participation in co-curricular activities. There is always a perception that boys’ schools only care about sport, and while sport is important to so many of our young men, the cultural and performing arts side of the school is also strong. On that note, congratulations to the cast and crew of the major production, Anything Goes. It was yet another high-quality production and the young men and women involved did a superb job. To Mr Burton and his team, well done on an outstanding season. The various music groups such as the consistently good Stage Band, the OK Chorale and other choirs are also underway and I look forward to seeing them perform throughout the year. We are indeed fortunate as a school community to have staff and helpers willing to commit themselves to providing so many opportunities for our young men. It is important to have our staff as coaches and managers. Justin Vanstone, the head coach at Dublin’s famous Blackrock College, who we have played a number of times both in Ireland and here at home, says, “I think there is a lot to be said for seeing these players in the corridor all the time. Teaching maths…for example. You learn about a student’s character, as opposed to just coming in and offering your expertise as a professional coach. I think that’s a big advantage of the system”. It has been great to see the progress of the team of young men and staff on the Te Araroa Challenge – the aim is to complete the North Island leg of the national trail and in doing so to raise money for Ronald McDonald House, certainly a worthwhile organisation that many of our families will have dealt with through the illnesses of family members. Always remember the boys are involved in sport for their enjoyment, not yours. Set an example – applaud good play and good effort. Do not criticise team members or opponents for making a mistake. Criticism of referees or umpires is unacceptable – officials give freely of their time and effort and do not deserve to be harassed by people on the side-line. Do not come on to the field of play; do not enter changing rooms. No parents in halftime huddles. Recognise the value of coaches and managers who give their time to provide opportunities for our young men. At the heart of the matter is that we want our young men playing because they enjoy playing. They do not want to be embarrassed by the conduct of family members or supporters on the side of the field. Not everyone will be a national representative; it is important to keep that in mind to provide a realistic context. It is important to remember also that not all staff members will be the next national coach and yet some on the sideline think it their right to criticise team selection and offer uninvited advice; not every referee or umpire will be a professional. We want to encourage all those involved to stay involved. A small number of young men have expressed an interest in playing for club teams in some codes. The school’s policy is that young men will be released on a partial-transfer to play for clubs only if they are representing the school also. Some have not been selected for higher teams and believe they should be playing at a certain level. 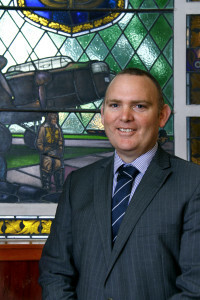 Whether that is the case or not, the school expects its young men to fulfil their commitments to the school before representing an outside club. All discussions in this regard need to be with the Master in Charge of the respective codes. As young men join various sporting codes to represent PNBHS there will be a set uniform that boys must purchase. While representing the school it is expected that students wear their sports uniform correctly and abide by school rules. It is also expected that associated registration fees are paid on time or a suitable arrangement is made with the Teacher in Charge prior to playing. If fees are not paid or an arrangement is not made students will not be able to play. All items of sports uniform can be purchased from Mrs Alderdice at the Uniform Shop. I thank you in advance for assisting us in maintaining standards of dress and behaviour on and off the fields and courts this winter. As the cooler weather approaches a reminder that young men may wear polypropylene under the school uniform as long as it is not visible. We recommend that young men purchase black v neck polypropylene tops to wear under their school shirts. These are available from a wide variety of suppliers. In Physical Education classes young men may wear their club rugby jersey in cooler weather or they may wear a polypropylene top the same colour as their club, underneath their club singlet. Any raincoat may be worn to school on a wet day but must be removed once inside the school grounds. Should a young man wish to wear a jacket within our grounds it must be one of the approved black jackets. These are not permitted in classrooms. Over the last 12 months we have had conversations with our staff and young men about the place and relevance of NCEA Level One. Government assessment targets in recent years have firmly established NCEA Level Two as the minimum qualification for school leavers. 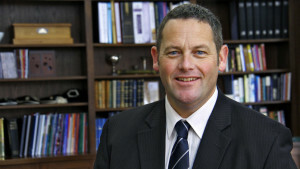 Consequently, the value of NCEA Level One as a qualification is, at best, questionable. For many of us with a few years under our belt, we will remember School Certificate as a qualification with which one could leave school and enter the workforce. At that time the school leaving age was 15. Now, in 2018, the school leaving age is 16 and the equivalent gateway qualification into further training and employment is NCEA Level Two. The advent of NCEA has seen students endure a continuous grind of assessment throughout their senior years, a far cry from the situation in the past in which the periods of assessment stress were restricted to a few weeks around external examinations. External examinations and that examination stress still exists, but has been supplemented by the stress of internal assessment that extends over the majority of the school year. As referenced in the first newsletter of 2018, the mental health of young New Zealanders has declined markedly in the past decade. 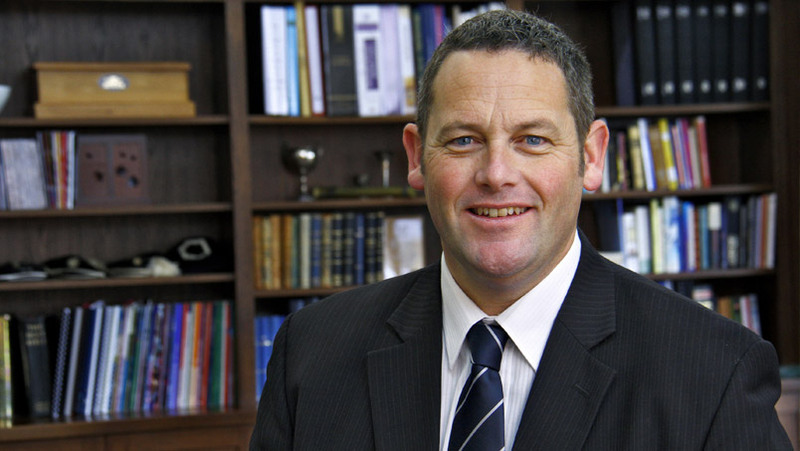 While not all of the blame can be laid at the feet of NCEA – this time period also marks the advent of the smart phone and social media – there is little doubt that it is a noteworthy contributing factor and one of the reasons for the national NCEA review currently underway. 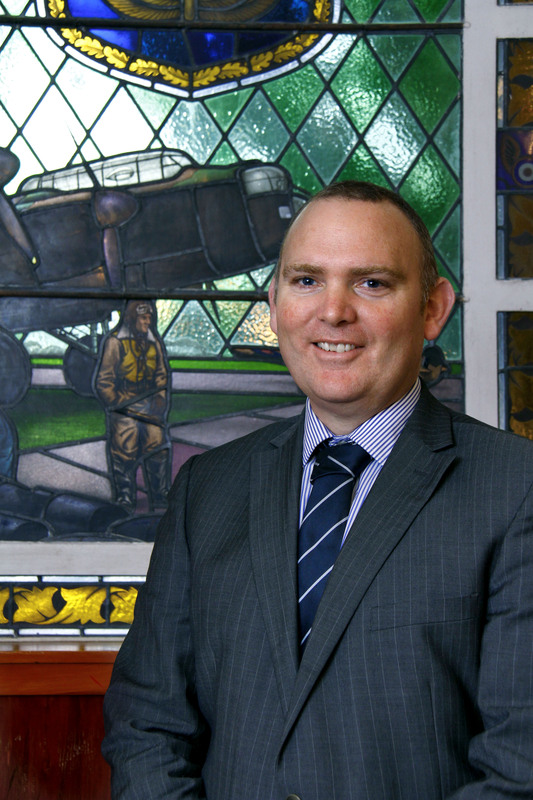 Additionally, the significant increase in teacher workload brought on by the advent of the NCEA model has left teachers under increased stress which affects their ability to teach to the best of their ability and their ability to continue to contribute to our expansive co-curricular programme. With this context in mind, we would like to begin discussions with our community about the place of NCEA Level One. Internal discussions have resulted in a proposal for 2019 that would involve decreasing the emphasis we place on NCEA. Level One. This does not mean that we do not assess any NCEA Level One credits, we simply do not place emphasis on young men gaining this qualification. In 2019, it is proposed that NCEA Level One programmes would assess only two standards per subject – one internal standard and one external standard (or two internal standards in the case of fully internally assessed standards). The standards that are offered would be coordinated to ensure we were allowing young men to gain the necessary literacy and numeracy credits they need for University Entrance. This would mean that young men would typically be completing a programme of around 40 NCEA Level One credits and would not be eligible to gain the NCEA Level One qualification. Please note that it is not necessary to pass one level of NCEA in order to progress to the next level. The most recent school leaver data (2016) tells us that 98.3% of our school leavers have NCEA Level One and 91.3% had NCEA Level Two. The benefits we have identified in such action include an immediate reduction in student and teacher assessment workload and improved student and teacher well-being and mental health. Currently there is a significant step up in the requirements for achievement between NCEA Level One and Level Two. By reducing the amount of time spent assessing in NCEA Level One programmes there would be the opportunity to spend greater time preparing young men for NCEA Level Two. Additionally, the emphasis that there has been on assessment in recent years has narrowed the curriculum and left teachers with little time to explore concepts and ideas outside of what is necessary for assessment. Reducing the amount of assessment that is undertaken would help to remove this restriction. We are very conscious that what we are considering could be polarising in our community. Indeed we have spent considerable time examining the positives and negatives of this proposal, and this has been accompanied by some very robust discussion, both in support and against. The next step for us is to meet with you, our parent community to gain your feedback and to answer any questions you might have. To facilitate this we would like to invite you to a meeting in term two, at a date to be advised. The information from these meetings will then be able to be considered before any final decision is made. To those students travelling away on tours in the coming weeks – safe travel. All the best for the holiday break and we look forward to a positive term two. Achievement, in any domain, does not happen by accident and a planned approach is essential. The introduction of NCEA, with its internal assessment component has conmpletely altered the workload for students; academic achievement now requires a consistent effort throughout the year, a development that has created significant stress for both students and teachers. Most senior students study six subjects and in many of these there will be three internal assessments to be completed during the year. Consequently, most young men will complete a workload comprising 18 internal assessments. For students in fully internally assessed subjects, such as technology, physical education, photography or visual arts, this figure is much higher. Your son has been issued with a wall planner, and hopefully has purchased a diary, to assist with his organisation. Fortnightly communication detailing upcoming internal assessment information is emailed to parents and the NCEA assessment schedule calendar can be accessed via Stratus (under the Academic tab – click on assessment). I encourage you to work with your son and to help him establish good organisational habits so that he has every opportunity to achieve the best possible assessment grades that he can. Scholarship is the highest New Zealand secondary school qualification and assesses a range of higher order thinking skills, provides an academic challenge as well as a number of financial incentives for successful students. While we encourage all eligible students to consider enrolling in Scholarship examinations, it does require a significant extra commitment in terms of revision and examination preparation. Many departments will run additional tutorials to assist with this. However, for some young men the extra time required may be an impediment to their success at NCEA Level 3 and in gaining University Entrance. For this reason, we encourage all young men contemplating enrolling in Scholarship to discuss this with their parents and teachers so that an informed decision is made. We will provide further information early in term two. Character education has been a significant focus at PNBHS for more than a decade, when our school vision, To Develop Educated Men of Outstanding Character, was formulated. In 2017 we sought feedback from our community about the things that are important to them in terms of the character education we provide. This information has been used to create the Draft Graduate Profile, which you will find below. We would now like to invite your comment on this draft document before it is finalised. The Graduate Profile summarises the responses of our school community to the question “What character qualities will a PNBS graduate need to realise success, wellbeing and purpose for his future education, career, community and family life?” The first column, Our Values, includes the most frequent responses from the survey administered term four, 2017. There was a strong correlation between the responses received last year and our existing school values. The second column, Our Graduates, was developed in consultation with staff. The third column, Our Brotherhood, was written with a group of senior students and captures their language and interpretation of Our Values and Our Graduates. 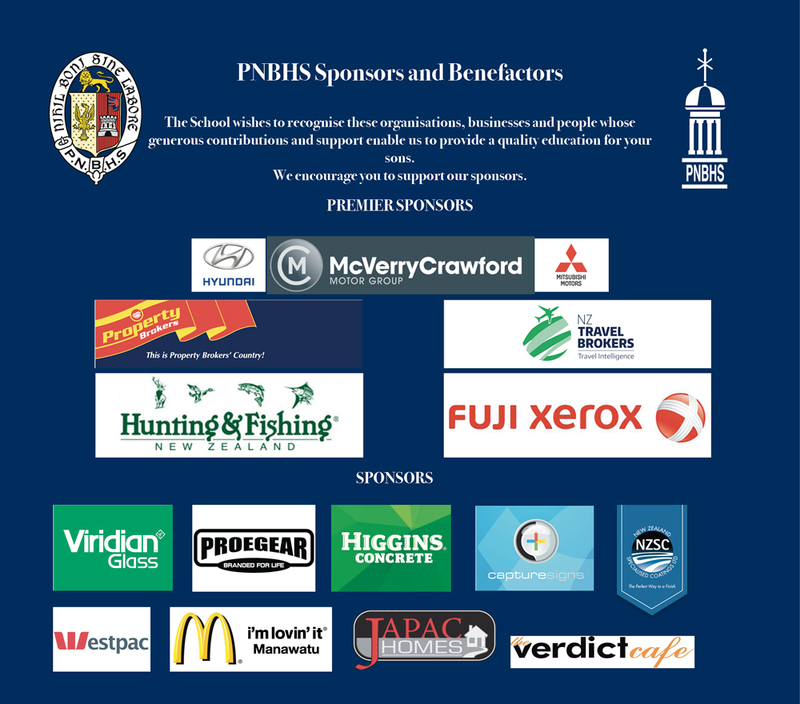 Founded in 1902, Palmerston North Boys’ High School is a traditional boys’ school whose vision is to develop educated men of outstanding character. In striving to realise this vision, our mission is to educate young men by challenging and extending them in academic, sporting and cultural activities to develop the required knowledge, skills, values and character they need to succeed in their lives. Towards diversity, equity, and collegiality. For self, others, and the environment. Through manners, compassion, and kindness. Are young men who acknowledge and accept difference in all members of our community. They are generous in their welcome, appreciative of the needs of others and the environment, and caring in their approach to others. We look out for our brothers. We relate to our brothers. We stand up for our brothers. Towards honesty, truthfulness and responsibility. For self-discipline, reliability, and accountability. Through fairness, trustworthiness and truthfulness. Are honourable young men who try to do the right thing in all situations that arise. They know what is important, how to act in accordance with their values, and how to help others to do the same. Towards physical and moral courage, daring to be different, and the capacity to say “no”. For spirit, standing up and being counted, and doing the right thing in the face of adversity. Through honest effort, perseverance, and resilience. Are brave young men who are committed to following through in all areas of life. They set high standards, learn from their mistakes, and make progress through times of difficulty. We are honest with ourselves. Towards loyalty, confidence, and passion. For family, friendship, and pride in school, community and country. Through a positive attitude, teamwork, and the pursuit of excellence. Are purposeful young men who are driven by pride in their families, friends, school, community and country. They recognise the value in what they are doing, work well together, and add to the success of their school, community, and country. We are proud of our brotherhood, our school and our traditions. We work for our brothers. Towards knowledge, growth, and independence. For involvement, innovation, and influence. Through challenge, initiative, and commitment. Are enterprising young men who strive to achieve their potential. They think critically, apply their learning to different situations, and form conclusions judiciously. Towards selflessness, duty, and the needs of others. For the school’s values, service, and global citizenship. Through teamwork, understanding, and action. Are modest young men who lead others by example. They step forward at the right time, show their worth by their actions and words at all times, and leave a positive mark. We model the school values for our brothers. Character is a broad term and can be interpreted in different ways by different people. Broadly speaking, when we refer to character, we are referring to the behaviours we exhibit on a daily basis and, most importantly, how we behave when no one is watching. One’s character then includes the unique collection of characteristics or traits that are centrally important to who we are. Traditionally these traits have been organised into the moral virtues (positive characteristics and traits) and vices (negative characteristics and traits). In order to be considered ‘of good character’, it is reasonable to expect one to be working to develop the influence of the moral virtues on their behaviour, while simultaneously seeking to limit the influence of the vices. Our work to develop a Character Education Framework has been guided by a model emphasising three types of character; behavioural character, performance character and moral character. Behavioural character refers to the manner in which we meet the minimum standards expected in our society – do we treat each other with civility, respect and consideration – and informs us, and others, about the extent to which we are able to work within basic societal expectations. Performance character refers to the purpose, persistence and reflection we put into practice on a daily basis in the pursuit of the goals we set for ourselves. Characteristics under this umbrella might include, among others, hard-work, industriousness, perseverance and resilience in the face of challenges. Developing these attributes will assist us to successfully negotiate our way in the world. Generally, there is little conjecture about these elements of character. They contribute to what New York Times columnist David Brooks refers to as our resume virtues – the list of skills and attributes that we might choose to use to promote ourselves when looking for a job. The third element of character under this model is moral character. This includes the extent to which we are seeking to live a good life, a pathway determined by our individual code of ethics and characterised by, for example, our integrity, humility, compassion and courage. David Brooks refers to these elements of character as our eulogy virtues – the characteristics of our personal character that we would like to have shared at our funeral and would, more than our other attributes, describe who we are. Brooks laments that in contemporary society much time and effort is spent developing ones resume virtues – what we are and what we can do – at the expense of developing who we are as a person. We would proffer that all aspects of character are important and require attention. The school curriculum is heavily focused on developing behaviour and performance character, and we hope that the development of the Graduate Profile will give us a platform to work further in the development of our young men’s moral character. While some elements of moral character may be open for debate and attract a range of differing perspectives, there are many characteristics upon which there is almost universal agreement. Honesty, compassion, kindness, humility, respect and integrity, would be such examples. We want our young men – your young men – to lead fulfilling and prosperous lives beyond school. We want them to be outstanding future husbands and fathers. We want them to be effective as the future leaders of our community and society so that we all benefit. We look forward to continuing on our journey ‘To Develop Educated Men of Outstanding Character’ with you. If you have comments that you would like to make in relation to the Draft Graduate Profile, or would like someone to contact you to discuss this information, please email the school office (admin@pnbhs.school.nz).